Lucky Brand High Waisted Jeans and peasant tops for a look anyone can wear. When given a gift card to give Lucky Brand High Waisted Jeans at try, it was easy to find the perfect outfit for me. I have been wearing Lucky Brand jeans for many years and the reason is they have so many different styles that fit my curvy body type. 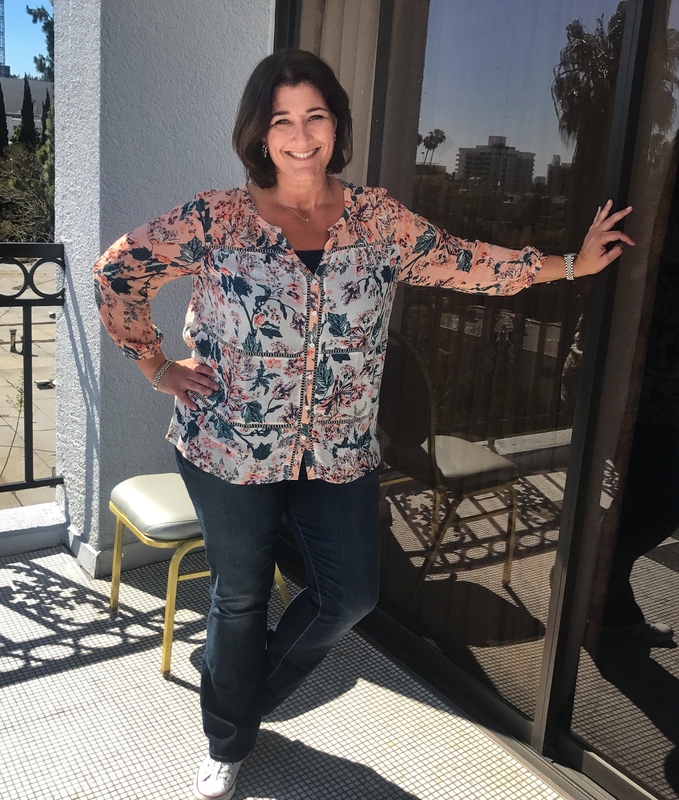 Pairing my jeans with a cute top isn’t too hard either, my favorite tops from Lucky Brand are the peasant style, and there are so many to choose from on the site with different colors and patterns. Many are even on sale. As I mentioned, Lucky Brand has so many different peasant style tops that it makes shopping right for my body type a breeze, even online. The slightly sheer paisley print of this blouse is complemented by a split neckline and long sleeves with elasticized cuffs. Between this one and the one in the photo below, I fell in love with both styles. These jeans have the perfect amount of stretch and cling. I can wear them all day and not feel as if they are falling off of me for they keep their shape nicely. 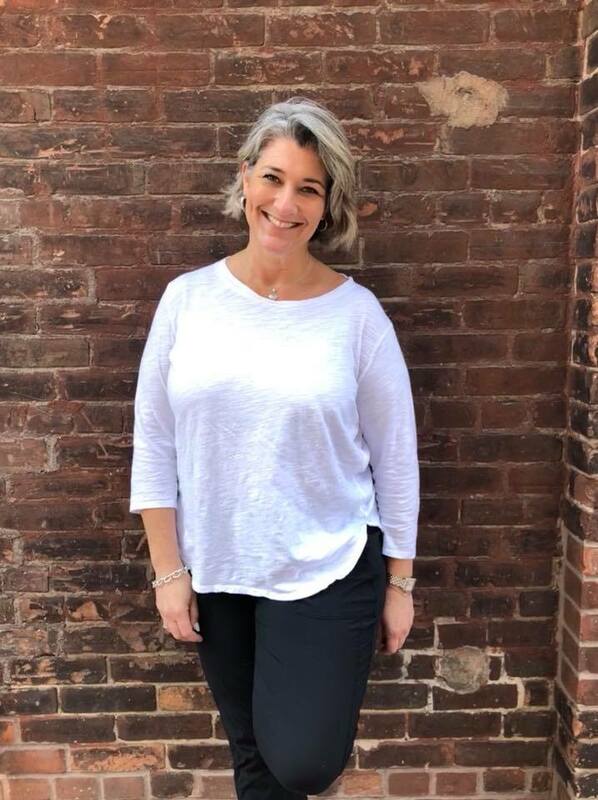 As I mentioned before, being curvy can be a challenge when coming to great fitting jeans, and these Emma Boot cut jeans are perfect for my body type. With high waisted jeans back in style, my tummy felt flat and muffin tops are gone. These shoes are perfect to round out the look. These cool leather slingbacks strike the perfect chord between bootie and heeled sandal. With a cut out back, our open-toe Obelia Heel is meant to just simply slide on. Stacked heel and rubber outsole. Perfect with jeans, dresses and even shorts, this color goes with pretty much everything! Lucky Brand doesn’t just have clothes, but they offer a large assortment of accessories including shoes, purses, belts and jewelry. The Liza Convertible Wallet is classic and timeless. Crafted from authentic leather with antique silver hardware, this wallet has a twill lining with a magnetic snap closure, three zipper pockets, two slip pockets and seven card slots with a keeper closure for extra security. With an optional detachable strap, this convertible wallet can be a bag or go clutch. 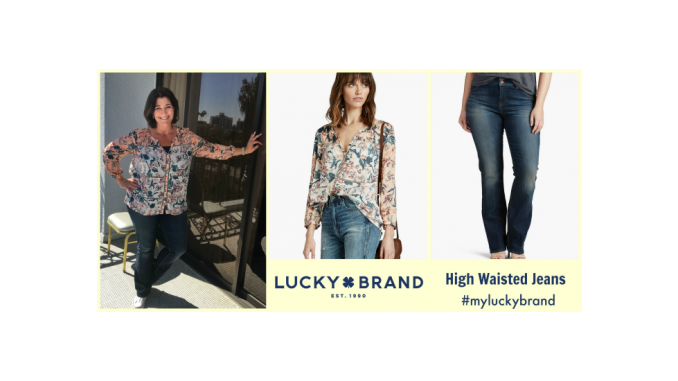 Lucky Brand is known for their great classic denim, and style for a variety of trends and body types. You can shop at one of their 209 stores or online. I and my friends appeared to be checking out the best points found on your web site and so before long got a terrible suspicion I had not thanked you for those techniques. These young boys happened to be certainly happy to see them and already have extremely been taking pleasure in these things. Appreciate your getting indeed considerate and also for choosing certain exceptional tips most people are really desirous to discover. Our honest regret for not expressing gratitude to you earlier. Hey Buddy!, I found this information for you: "Lucky Brand High Waisted Jeans". Here is the website link: https://www.trippinwithtara.com/lucky-brand-high-waisted-jeans/. Thank you.